A budget friendly place with well-lit minimalistically decorated rooms and an in-house restaurant for a pleasant stay. The Empire Inn is a very famous piece of property that provides accommodation options within reasonable prices. The rooms are quite spacious and are decorated in a minimalist manner. The rooms are well-furnished and well-lit and a lot of woodwork is included in the interior decor. The bright cushions add bursts of colour to the space. 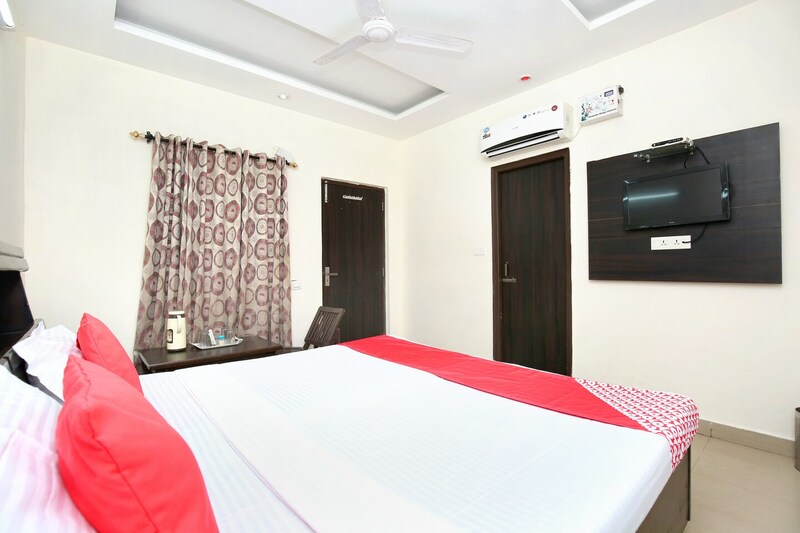 The additional features provided by the hotel are free Wi-Fi, an uninterrupted power backup supply, parking provisions, card payment in all forms, laundry provisions, and CCTV cameras. The in-house facilities comprise a common lounging area and a restaurant. The front desk service is manned by helpful staff who assist the guests in every way possible.